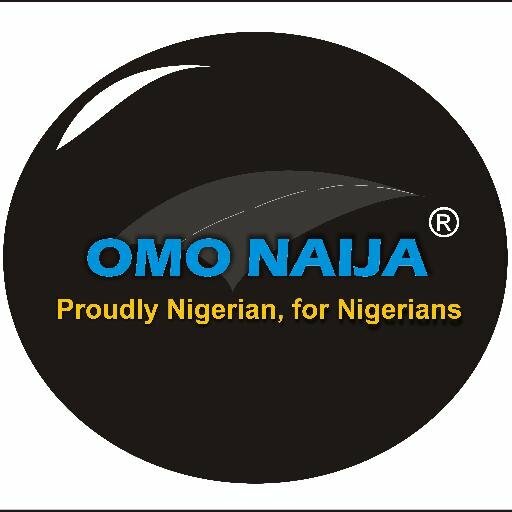 Veteran actor, Ayo Emmanuel also known as Nollywood’s Policeman had an exciting experience on 9th of October, 2016 during a service at the Champion Royal Assembly Abuja, as Nigerian Prophet, Joshua Iginla, gave him a brand new Peaugeot 301 salon car. 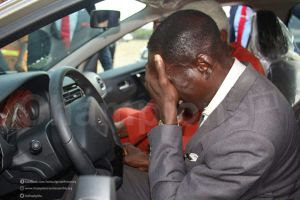 The actor while receiving the car gift shed tears of joy saying all that happened came to him as a huge surprise. In an exclusive chat with Omonaija Blog, the nollywood actor described the situation as the biggest shock of his life as he came to the church on Sunday the 9th of October with the church bus hoping to return back home with same, not knowing God has a better plan for him. 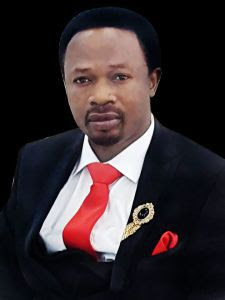 Speaking further on how he met the generous but powerful Prophet, Ayo said he was only invited during one of the annual birthday ceremonies of the Prophet and since then, he developed great interest in him. “During last year anniversary, we were invited, I mean Nollywood actors so, I was one of the actors that was invited and that was my first time of coming to Champions Royal Assembly. Thereafter, I developed interest in the style of worshiping, so I come here once a while because I stay very far away in Abuja. Once in a while I fellowship here, so since last year after PAPA’s birthday I’ve always been coming, I like the style of fellowship, I like his style of socializing and especially his love for Nollywood. He’s about one of the biggest pastor I know who has feelings for Nollywood and a great giver, I’ve never seen that before. So, I developed the interest and I see a true pastor, the real person that was build to increase, to impact more life into the people’’. Recounting the many helps the Man of God has done for him, He narrated how he was duped by one of his trusted friends who disappeared with over N1million which was meant to get him a car and this led to a serious illness and had no money for treatment after spending a lot, and Prophet Joshua Iginla helped him out. In addition, he described the Prophet’s giving spirit as one that he has never seen before and also implores people not to say anything bad against the Prophet. He said Bro. Iginla is someone that doesn’t love to show-off and has done a lot for people he doesn’t know and for that people think he does this only during his birthday celebration or anniversary but that is not the case. 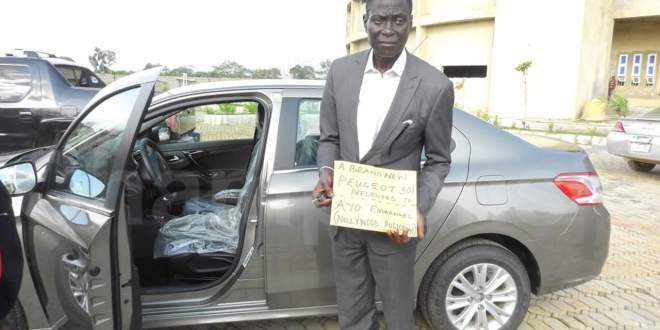 It would be recalled that the Prophet gave N10million donation to a muslim acid victim who needed surgical operation to be done in India, the same day he presented to the Nollywood thespian a car gift.